Before you buy your precious metals, you’ll need to secure safe storage. There are many options for storage, and depending on the sizes you own, how trusting you are, and if there are any third-party silver/gold storage facilities nearby, each will have its own advantages and disadvantages. Home safes are a very common way to store your precious metals. There are many different sizes and types of safes to choose from. The safe has to be well hidden and preferably attached to a wall or bolted. Benefits include accessibility, as you will have access to it when needed. Of course, as with every method, this one has a disadvantage. If the safe is not attached or bolted to a wall or floor, there are many instruments that burglars can use to easily move it out of the house. Depending on your creativity, you might not even need a safe. It can be a good idea to hide your gold or silver in clever hiding places like an attic, beneath floorboards, behind a furnace, or refrigerator, etc. A good hiding spot can even be in plain sight, as long as its inauspicious and small. Most burglars search for jewelry boxes and safes while ignoring your books and shelves. It’s clever to use diversion safes, and you don’t even need to buy them. They can be easily made of shaving cream cans or other boxes. Remember this is just a diversion, as you will still need to make it seem like you would put your ordinary belongings there. The bad side of this method is that the bigger the size, the higher the chance for the burglar to find something valuable. Of course you can’t really use the example from the picture for your metals, but it’s just an example of how creative we can be. This is a long-term method because of the lack of easy accessibility to the metals after they are buried. If you are looking for high protection but don’t mind low accessibility, this could be a viable option for you, as no one will look for your items in your garden. Bear in mind that you should try to hide your items near a landmark that will still be around years from now so that you don’t lose track of your hiding place. You will also probably need to tell someone highly trustworthy about your secret hiding place in case of sudden dead. Make sure to place your precious metals in a sturdy, water-tight container. In case you have neighbors, its good idea to have a cover story and gardening as a hobby usually leaves them unaware and unsuspicious. Most importantly, avoid the temptation to talk about your precious physical metals holdings. Despite the advantages, this method has downsides as well. Once you decide that you’ll dig the metals out, it won’t be smart to use the same place in the future. In addition, you can’t add metals if you acquire more, as the risk of someone seeing you the second time is higher, plus the cover won’t stack up forever. There are many third-party storage facilities. Safe-Deposit boxes are a popular choice, and people tend to prefer this method because of its safety. However, safety deposit boxes are only available during banking hours. This means that if you need money and the bank is closed, you won’t be able to get your metals, money, jewelry, etc. Another downside is that other customers or bank staff can see you putting your belongings in the box, which emphasizes the importance of secrecy and discretion. Also, when it comes law protections, banks may not be the best choice, as most safe deposits boxes are not covered by any insurance. So if somethings happens, you won’t receive your belongings back in the form of money, nor will you have the right to ask for anything. You can add riders to your homeowner’s policy to cover precious metals stored in your home, typically at an annual cost of around 1% of their value. Which means your metals you’ll be better protected at home, but then trusting your insurance company could be risky too. Professional bullion storage facilities are probably the best choice if you own large quantities of metals to store. The major benefit to using a depository is the protection that these highly guarded facilities can provide. Homestored precious metals are only safe when they remain hidden or have someone watching over them, whereas these facilities are dedicated to ensuring the protection of your property. Keep in mind these basic things before choosing a bullion storage facility. ● Will your metal be completely separate from the vault’s other clients? Most of the facilities offer separated vaults. For some this offers more peace of mind, but a separate vault also means higher taxes and higher storage fees. ● Are your metals covered by any insurance? Most of the facilities can offer you insurance, and in some cases, it’s even obligatory. In some cases, storage facilities can offer you insurance coverage to ensure your investments are fully protected, even upon transport. ● What is the price? Depending on many factors like location, size, and insurance policies, the prices can vary. Make sure you research every facility so that you make the right decision for you. ● Where will your precious metal be located? Some can be too far away or too remote for you to use them. It’s great if the facility has high security and great terms of usage, but does it matter if the facility is in the USA and you’re in South Africa? This is probably the most important factor for choosing your storage facility. Disadvantages of keeping precious metals in a depository are the maintenance expenses. Customers are required to pay depositories a storage fee for the use of their facilities. Another disadvantage of depository storage is their limited access. Customers have to travel to the depository itself to check on their valuables and in many cases, such establishments are located far from the customer’s home. Thinking about investing or buying precious metals? Acquiring precious metal is not such a hard task in the 21st century. Before we dig deeper into the matter, there are some things of which you should be aware. In the next few paragraphs we will use the word “vehicle,” and we use it in the context of investments as a replacement for goods sold on the markets like gold, silver, platinum, etc. Is your investing vehicle viable? First of all and most importantly, check, check and check again – Always make sure that the platform you choose for investing in vehicles is viable. Check the origin of the site and different opinions of the company online. Investing without making sure that the site is legal and reliable can lead to scams. There are many cases of scams with precious metals, and investors must remain vigilant. To avoid being scammed make sure to read as much as you can about these companies and even try to contact the sites directly. Each kind precious metal is formed in bulk before selling. Precious metals in bulk form are known as bullion in either coins or bars and are traded on commodity markets. The defining attribute of bullion is that it is valued by its mass and purity rather than by a face value as money. Usually, futures are viewed as speculative vehicles, but they can also be used to lock in prices for purchases and sales of physical commodities like gold and silver. The purpose of futures is to offer investors a leveraged means of buying or selling precious metals, set as specific price and time in the future. Most of the publicly traded mining companies offer exposure to precious metals at the producer level, which sounds great, but in many cases those companies usually underperform the rest of the vehicles due to challenges like rising labour costs and environmental issues. It’s better if you buy from diversified holdings because the individual producers magnify the risk and have lower parameters of high-quality work. Now that we’ve learned the basics of investing in precious metals, let’s review some of the precious metals in detail. Silver as an industrial metal plays a very tangible role due to its common price swings. Silver can’t usually hold the same price for long, and for this reason, price movements in the silver market are more volatile than gold. It’s hard to trade with silver, but it’s more searched in the industrial supply/demand chain. Investors who invest in silver frequently choose to maintain a closer watch on its prices so that it can be bought or sold out for gold at particularly strategic points. Compared to gold, silver is cheaper, and that’s why it is being used in some of the following innovations. Silver has had a massive role in the photography industry, even if it is currently shadowed by the digital photography that does not require silver. 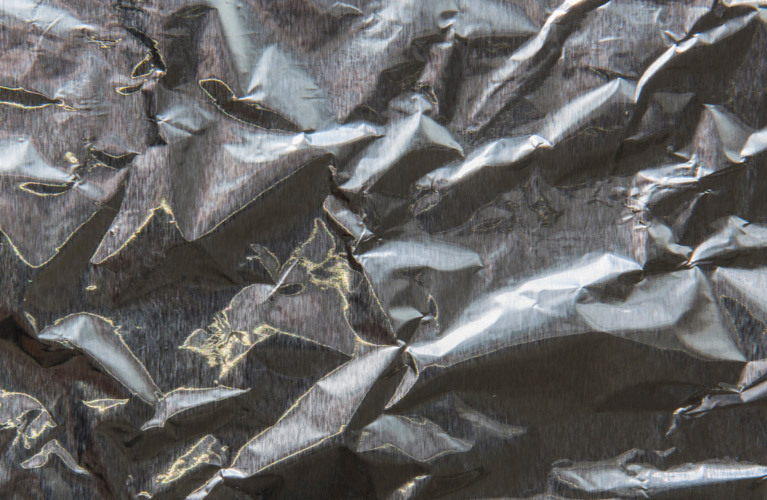 Silver is required in many electrical appliances, medical products, and other industrial items that require silver inputs. Thanks to its electro-conductivity, silver is desired for electrical connections. Silver is being used in batteries, superconductor applications, and microcircuit markets. Those developments may or may not affect the silver market, but the facts remain; silver’s price is affected by its applications and is not just used in fashion or as a store of value, unlike gold. 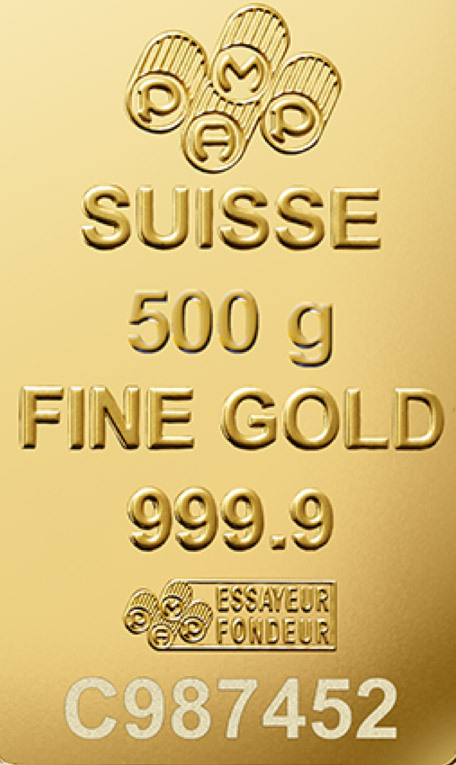 The value of gold is determined by the market at all times, and its price is less affected by the laws of supply and demand than the physical market. Here are some things you should know before buying gold. 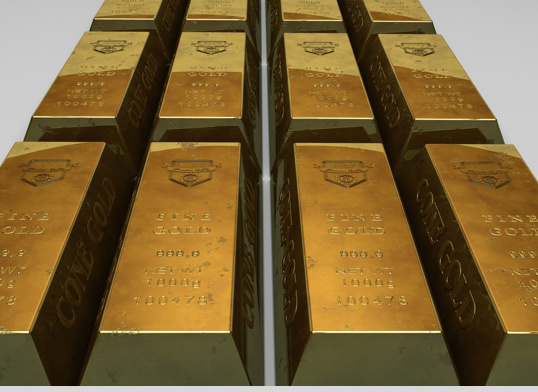 Financial concerns – When banks and money are unstable or if the political stability is in question, gold often remains a safe choice to make because its value is determined by the market. Inflation – Gold is preferred as an asset because it will maintain its value, even if the market and rates are negative. War or political crises – These are the main activators for the gold investing mode. Think of it as a way for your life savings to be portable and used in trade. In desperate times gold can be traded for food, supplies, shelter, or safe passage to other destination. Precious metals are very attractive to investors for many reasons. If you own gold, you own a physical piece of that precious metal. There’s not an overabundance of any precious metal in the world. The prices of precious metals often run in the opposite direction of the United States and other Western economies. Gold has the benefit of being a durable metal that has, historically, kept its appeal. When other markets like real estate and stock market drop, investing in metals may be the best choice because those investments tend to remain consistent. Usually, people are more willing to spend their metals in adverse economic conditions because of the consistent value of the metals compared to the other markets, which means you can sell your metals at a higher price. The safest way to be a smart investor is by having a diversified portfolio of precious metals, stocks, bonds, and cash. You can gain profits while protecting yourself from losses. Like most risky investments, if you want to add precious metals to your investment portfolio, keep your eye on the price history, global economic environment, and allocate a small portion of your money to these speculative financial assets. Trading with metals is precarious, and you can either be successful or fail miserably. Let’s review some of the crucial pieces of information you should know before trading with precious metals. We will categorize them by importance starting from the least important things up to the essentials. ● Historically, valuable metals can suffer in the short term but thrive over time. Metals are a great choice of investments because they are long-term. They usually keep the same value and are a great way for the investors to protect from dips in other markets. That doesn’t mean that the value is constantly the same and won’t drop at some point in time. The price will rise and fall just like anything else you invest in, with the difference that it will usually stay close to its original price. ● Precious metals are used for more than jewelry. Despite the mass use of gold in silver in the jewelry sector; it’s used to a great extent in electronics as well. Many cellphone and computer components consist of gold or silver. ● Metals are not categorized the same way. Gold and silver are popular choices of investing, but did you know you can also invest in other metal commodities? Metals used in manufacturing, such as rare earth and base metals, are now becoming increasingly important due to high industrial demand. ● There is more than one way to trade. You can buy stock in the metals themselves, invest in mining companies, or even invest in security companies that store precious metals like gold and silver. Another thing you can do is buy into an Exchange-Trade-Fund, which is similar to buying a share of stock, except that you’re buying a share of a fund. ● Physical metals come in two forms. When you buy physical stock metals, you have two choices: coins or bullion. We earlier spoke about the definition of a bullion, but remember that bullion is precisely-weighed bars, stamped with information about the weight, purity, and source of the metal. 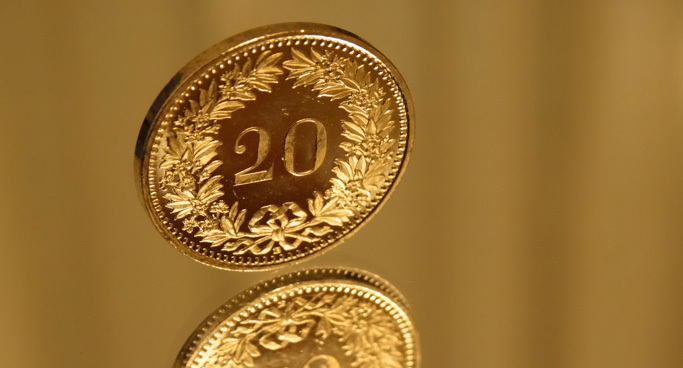 Coins are collectors items that may differ in value according to rarity and popularity. ● Some precious metals may be subject to taxation. If you collect bullions and coins and trade with them, often the government may classify your investments as business and tax you. Its good idea to check your local tax office for more information. ● The physical stock needs to be insured. Most of the facilities that store your metals can offer you insurance. This is very important if you don’t want to run the risk of losing your entire investment. ● Not every vendor is trustworthy. Don’t put your trust and money in the hands of just anyone who is selling gold coins or stock in platinum mining companies. Always read carefully, research, ask questions, read forums, and even try to contact them before you trust them with your money. If anything seems suspicious, just don’t trust them, as there are many reputable companies who would appreciate your valuable business. ● Certificates offer investors safety. Certificates offer all the benefits of physical gold ownership minus the hassle of transportation and storage. But remember that it’s only a piece of paper, and you can’t expect anyone to accept them as equally valuable as the actual metal. Have you ever thought about the history of your golden ring or your silver earing? We have, and we make it our business to know everything there is to know about metals we all use on a daily basis. Let’s take a quick look at the history of how precious metals were used in ancient times. When we hear ancient times, most of us go way back to Egypt. For metal, that’s pretty accurate, as the history of metals and their uses begins in that area and time period. While there’s proof that precious metals were found in ancient Babylon, not much is known about its usage. However, ancient Egypt gives us great quantities of information about which metals were used for which purposes, and why. It is the perfect place to begin our examination. Metal was an extremely important and valuable material for ancient Egypt. Many of their crafts were made of metal because of its strength and endurance to high temperatures and force. Gemstones were often used in the crafting process, due to their ability to reflect the light and play with the colors. If you’ve ever visited a museum, you have likely seen some jewelry or sarcophagi made of metal. In fact, Egyptians mastered mining and metallurgy by creating the foundation for modern metalsmithing. Most of the mining in Egypt happened by extracting metal from ores. This was an expensive and difficult process, as most of the tools Egyptians used were made of rock, making the extraction a tedious process. However, metal was valuable in any form. This means that even though a metallic item was no longer useful, it could still be melted down, reshaped, and used for something else. It was an ancient form of recycling. The movies we’ve all seen portray ancient Egypt as having a love affair with gold. The yellow precious metal seemed plentiful and used for just about everything, especially the pharaohs. Of course, the sarcophagi of the rich were gilded with intricate and ornate gold decorations, but gold wasn’t the only precious metal used for these iconic artifacts. In addition to gold, metals like copper, silver, bronze, tin, and iron were also used. Gold was commonly used to make jewelry and ornaments. The Egyptians believed gold to be the flesh of the sun god Ra, a deity worshipped by many people in the region. Craftsmen used gold to make amulets, masks, diadems, and ornamental weapons. It was often used in funerals to adorn the tombs of pharaohs, and it was common practice to put decorative gold items in the tombs of fallen leaders to bestow them with wealth and beauty for the afterlife. According to ancient Egyptian belief, one needed to offer something of value in order to pass the final gate into the afterlife. That’s why most of the pharaohs were buried with gold items, ensuring their passage to the afterlife. Even if most of the gold was controlled by leaders and the wealthy, non-royal Egyptians were also known to own gold jewelry. Embossing and engraving the metal was another common practice. Gold was combined with glass and precious stones to create a gold piece of different color and form. It was even pounded into thin plates which could be glued to different materials. This technique was used in the making of columns, obelisks, furniture, jewelry, death masks, and altars. Ancient Egyptians loved experimenting with combining different metals. They frequently used a naturally-occurring alloy known as electrum by combining gold, silver, and a small amount of copper. It was used for statues, offering tables, and chariots. Copper was the first metal used by ancient Egyptians. The oldest Egyptian artifacts, dating back to the fourth century BC, were beads and small tools made of copper. Copper, rarely found in a pure state, was often contaminated with small amounts of zinc, iron, or arsenic. So extracting it was difficult, making it valuable once pulled from the other elements. Later, the Egyptians found a way to use this to their benefit by deliberately mixing those materials to make bronze, which is a much stronger metal. Copper objects of the era were often molded, which was a difficult process due to the bubbles that formed when the metal was poured. However, being metalsmithing professionals, the Egyptians discovered that by heating and hammering the copper, the metal became harder and stronger, and this technique was applied to other metals as well, such as iron. Egyptians used this process to create copper weapons, tools, vessels, and ornaments. Silver was quite rare in ancient Egypt, and that’s what made it so valuable. Silver was actually treated much like gold. It was used to meet a variety of needs. One different use of the metal was that the craftsman would beat it into sheets to plate mirror surfaces, and it could also be stained black with sulphur. Working with bronze is similar to working with copper. Bronze allowed for big improvements in the tools and weapons forged by the Egyptians. The material was produced by mixing a small amount of tin with copper during the smelting process. The physical characteristics of bronze were better compared to copper, as it was harder and melted at a lower temperature, which made it easier to cast. Interestingly, iron was also known as the “metal of heaven” because the only known sources of it came from meteors until about 500 BC. Most of the metal was imported to make tools and weapons. Iron was most often used to make knives, but it was sometimes used ornamentally for things like amulets and beads. Concluding our brief discussion of metal in history, bear in mind that this is only an examination of the Egyptian use of metals. Other civilizations like ancient Turkey worked with precious metals and used them for things like decoration and currency. This is all to say that metal has been used throughout history, and has proven to be an important piece of everyone’s cultural puzzle. The most famous types of precious metals are gold, silver and platinum, but those are not the only precious metals worth reviewing. Let’s take a look at the most famous and commonly used types of precious metals. Rhodium is one of the rarest elements in the Earth’s crust. The metal itself is a silvery-white, hard, corrosion-resistant and a chemically inert transition metal. Nearly 81% of its worldwide production is being used as a catalyst in vehicle catalytic converters. It is often used as a thin layer on white gold because of its appearance. Rhodium is also used as an alloying agent for hardening and improving the corrosion resistance of platinum and palladium. Platinum is one of the least reactive metals in existence. It is nearly 15 times rarer than gold, yet widely used. It has remarkable resistance to corrosion, even at high temperatures. Platinum is used in catalytic converters, laboratory equipment, electrical contacts and electrodes, platinum resistance thermometers, dentistry equipment, and jewelry. Most ruthenium produced is used in wear-resistant electrical contacts and thick-film resistors. A minor application for ruthenium is in platinum alloys and as a chemical catalyst. Because it hardens platinum and palladium alloys, ruthenium is used in electrical contacts, where a thin film is sufficient to achieve the desired durability. With similar properties and lower cost than rhodium, electric contacts are a major use of ruthenium. This metal is unique, and its physical characteristics are proven to be quite useful in the industrial sector. This is the most corrosion-resistant metal, even at temperatures as high as 2000 °C. Iridium is the second densest element. and is a silvery-white transition metal. Thanks to its high melting point, hardness, and corrosion resistance, it can be used for compass bearings and balances and long-life aircraft engine parts. Iridium is also used to produce oxide single-crystals used in computer memory devices and solid state lasers. Gold is considered one of the most popular precious metals. In its purest form, it is a bright, slightly reddish yellow, dense, soft, malleable, and ductile metal. Gold often occurs in free elemental (native) form as nuggets or grains in rocks and in alluvial deposits. Gold itself is resistant to most acids, and it’s widely used in medicine, jewelry and electronics. It is even used as a food decoration sometimes in the form of golden leafs. Depending on the color it can be used as a coloring agent as well. Palladium is a rare and lustrous, silvery-white metal, it has the lowest melting point, and it is the least dense of the precious metals. The largest use of palladium today is in catalytic converters. Palladium is also used in jewelry, dentistry, timepieces, blood sugar test strips, aircraft spark plugs, surgical instruments, and electrical contacts. Osmium is a hard, brittle, bluish-white transition metal. It is used mostly in electrical contacts and other applications where extreme durability and hardness are needed. Because of the volatility and extreme toxicity of its oxide, osmium is rarely used in its pure state but is instead combined with other metals. Those combinations are utilized in high-wear applications. Rhenium is a silvery-white, heavy, third-row transition metal. Rhenium has the third-highest melting point and second-highest boiling point of any element, at 5903 K. Rhenium is used in industrial gas turbine engines. This metal is easily machined, and the high-temperature stability is improved with the rhenium concentration. Meaning that if the concentration of rhenium grows, so does its temperature endurance and stability, making it perfect for gas turbines. Silver is a soft, white, and lustrous transition metal. It exhibits the highest electrical conductivity, thermal conductivity, and reflectivity of any metal. This metal is widely used in jewelry, medicine electronics, photography and more. In medicine, silver is incorporated into wound dressings and used as an antibiotic coating in medical devices. In electronics, the bulk silver and silver foils were used to make vacuum tubes, and continue to be used today in the manufacture of semiconductor devices, circuits, and their components. Indium is a very soft and malleable metal. The first large-scale application for indium was coating bearings in high-performance aircraft engines during World War II to protect against damage and corrosion. While there is no longer any major use of the element, Indium can still be found in light filters in low-pressure sodium vapor lamps. The infrared radiation is reflected back into the lamp, which increases the temperature within the tube and improves its performance. After reviewing most of the famous precious metals, let’s discuss their investment potential. What does “precious metal” mean? Simply put, “precious” is a classification of metals that are considered to be rare and have a high economic value. This means that one metal can be precious if its either expensive or difficult to find. The values of those metals are characterized by their rarity, uses in industrial process, and as investment vehicles. Some of the most common precious metals with investors are gold, platinum, and silver. Other precious metals used in industrial processes include iridium and palladium, which are used in electronics and chemical applications. All of these metals have an ISO 4217 currency code, which can be used to show the exchange rates of each metal and is published publicly. Having this code means that the metals can be bought and sold on the market. Precious metals should be naturally found in our environment, and it should also be shiny, which in most cases is proof of its quality. Due to its common use in jewelry, any particular metal has to be forgeable with a high melting temperature. The most important characteristic is radioactivity; the presence of radioactivity indicates the metal is not precious.